You are here: Home » Haven’t I seen you somewhere before? I spend a lot of time commuting to work at the moment and as such I see a lot of TV series. It’s something to keep me sane on the journey and having a tablet helps. I have just started a new series. This one is called Cleopatra 2525. A short lived series from the early 21st century. One of the main characters from the series caught my eye and I started to think “I know here from somewhere” and you will see what I mean by the below image. It’s the lady in the middle is the person I am on about. If you don’t know. I’ll give you a clue “Mal’s right hand woman”. 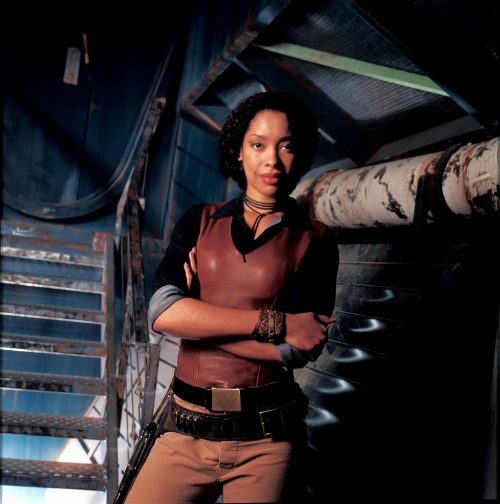 Yep, it’s Gina Torres, better known as Firefly’s Zoe. This is where I could go on about how I feel about Firefly but I will keep silent otherwise I might be the a witch hunt against me from you out there in Internet-land. This then got me wondering “What else could I have seen her in” and then I had to hit Wikipeda – always a good start of a search but not always the most accurate site to cite. It came back with two series from the 90s. Not just being great but sister series as well. Those being Xena: Warrior Princess and Hercules: The Legendary Journeys. First we saw her in Xena: Warrior Princess playing a character who would appear later in her career. 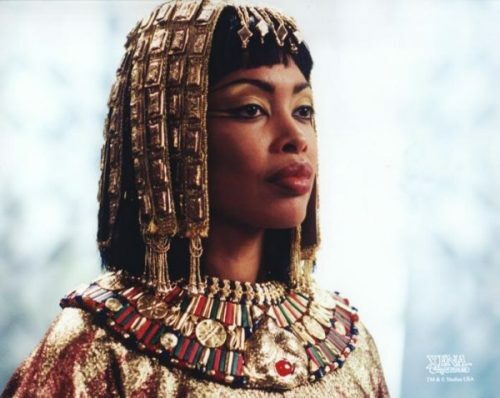 That being Cleopatra. 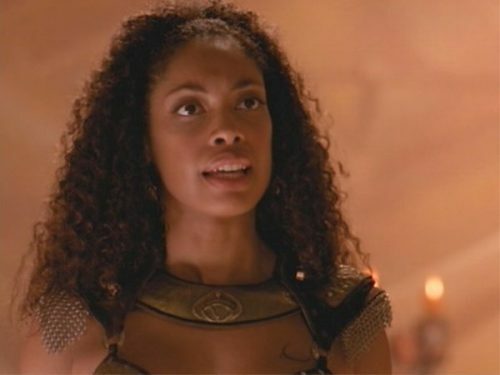 Whist in New Zealand she also had a part in Hercules: The Legendary Journeys, mainly as a character called Nebula but she also starred as a separate character somewhere else in the series.